With the Mac Pro and Mac mini languishing as years-old machines without refreshes, the future of Apple’s desktop lineup is in question. 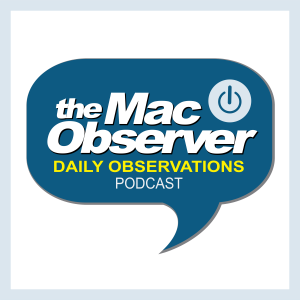 John Martellaro and Bryan Chaffin join Jeff Gamet to share their thoughts on what Apple may‚or may not—have in store for its desktop computers. As mostly a desktop user, I am of course hoping for new Mac desktops. I have never owned a Mac mini, but I think Apple should have some form/style of that type of computer available for at least another 3 years. Considering Apple’s new operating system naming conventions, I could see the Mac mini and Mac Pro becoming a single product called Mac, that goes nicely with macOS. I am not sure if Apple would be willing to change the iMac name, because it is so iconic now. I personally hope Apple keeps the Mac mini, iMac, Mac Pro product line setup and just updates them. What frustrates me is that Apple keeps creating these self-fulfilling prophecies. For example, Apple takes away what people love about the Mac mini (dual-hard drives and easily upgradeable) and releases a un-upgradeble solder weakling, then claims that low Mac mini sales means people no longer need that model and it should be discontinued instead of admitting that Apple made a mistake and that is why it is not selling well. Same thing for the Mac Pro, yes it is a neat design and it personally works okay for me, but I understand that it alienated a large amount (if not the majority) of professionals in science, engineering, music, video, and 3D graphics. Overall, the current Mac Pro repeated the history of the Power Mac G4 Cube. I share Bryan’s irritation that Apple continues to charge full-price for both the Mac Pro and the Mac mini that has 3-year-old hardware. Additionally, considering economic inflation and deflation of the value of the old hardware specifications, the Mac Pro and Mac mini are more expensive now then when they where originally released. It would be like buying a new 2013 BMW that was still sitting on the lot today for full sticker price. As far as the Mac Pro factory in Texas, it is often a difficult and expense process to re-tool a factory to produce a new design. Especially considering Apple’s willingness to experiment with materials and production methods. Apple does not have direct experience with this process, so there could be a lot of growing pains with that. Also, with the other product lines, Apple typically forces its suppliers to absorb the cost and time of re-tooling factories so that it does not have to worry about it.